Useful AT for Autistic People | Where It's AT. The Ability Tools Blog. Greetings, assistive tech fans! My name is Noor. 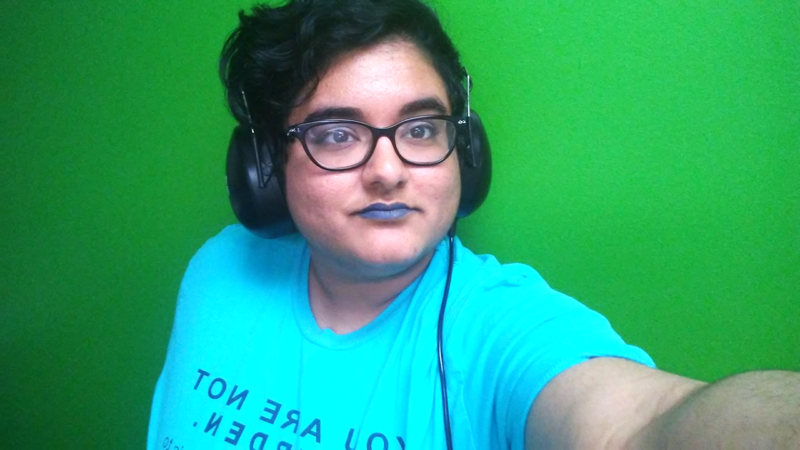 I’m autistic adult with chronic pain who works for the Autistic Self Advocacy Network. I’ve learned a lot about assistive technology that autistic folks use from my friends, as well as my own experiences. Let’s take a look at 5 examples of assistive technology autistic people might find useful. When it comes to talking, some autistic folks are nonverbal some or all of the time. One form of communication nonverbal folks use is AAC! There are many kinds of AAC, such as letter boards, dedicated AAC devices, or apps on tablets or phones! I have experience with AAC apps, so that’s what I will be talking about. 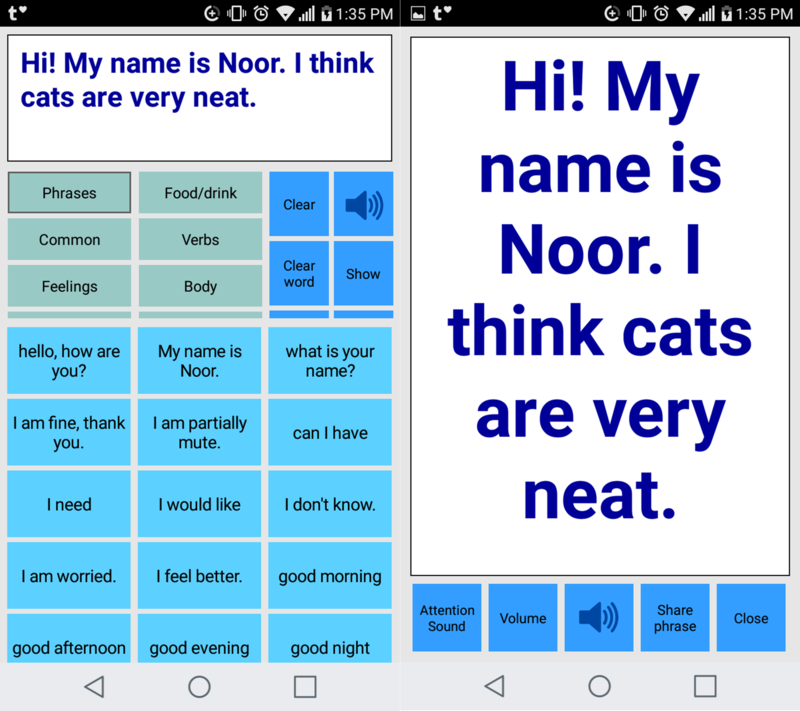 On an AAC app, you can hit buttons with pre-written phrases that you have set, and the phone says the words. You also can type into the app, and it will say those words. AAC allows users to communicate with a lot of people in real time, which is something that is important to people who need to lead trainings or groups. 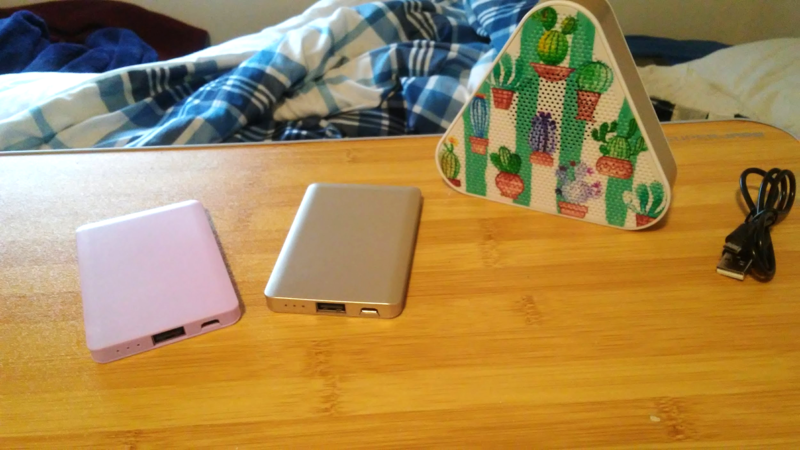 Since we are often talking to big rooms of people, my friends and I also have portable bluetooth speakers that we take on the go. This lets their AAC app be heard by a lot of people! Folks who use portable speakers also often carry batteries, so that their AAC devices and accessories are always fully charged. For people who have memory issues, it can be helpful to have an app that tracks medications, daily health measurements, and doctor’s appointments! One app that does this is MediSafe. Many folks also use the Google Assistant as a way to remember things. 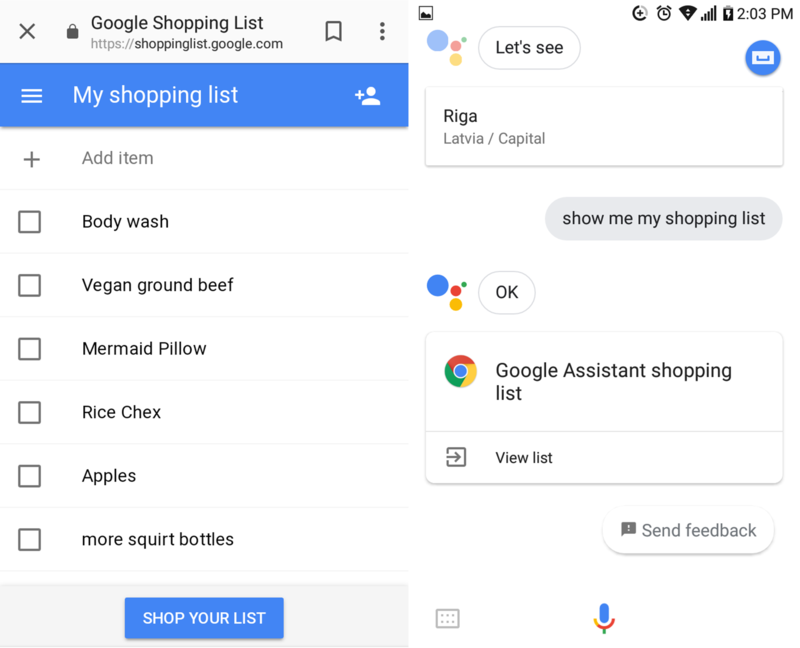 You can tell Google to remember all kinds of things, from where your favorite restaurants are to what you need to buy for groceries. If you often forget day-to-day tasks, this tool is really helpful. Sometimes, autistic people can get very overwhelmed by lots of noise. Noise cancelling headphones are great for helping us get through loud city streets, or events where there is loud music or lots of people talking all at once. When autistic people are overstimulated or if folks have chronic pain, the all-over pressure of a weighted blanket can be soothing and helpful. They can be used as a way to help with anxiety and trouble sleeping as well. Autistic people sometimes have an easier time focusing on what we are doing if we are able to stim while completing the task. One way that many of us do that is by using stim toys! Some examples include fidget spinners or cubes, chewable necklaces, or stress balls. Stimming can help us regulate our bodies and participate in conversations or tasks more easily. These are some useful assistive tech pieces that can be helpful for autistic folks might use. What are your favorites? Comment down below and let me know.